Sandra Grey is the author of Traitor, Tribunal, and Trespass, novels that reflect her sense of adventure and her military heritage. Her paternal grandfather served in World War II and her father is a retired Air Force major who trained for spy work during the cold war. Grey was born in an Air Force hospital in Inglewood, California, and has lived all over the world. 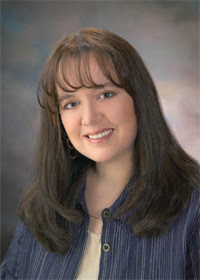 She earned her bachelor’s degree in humanities from Brigham Young University. She lives in Arizona with her husband and children. She is a member of The Church of Jesus Christ of Latter-day Saints. This page was last edited on 4 February 2016, at 14:33.